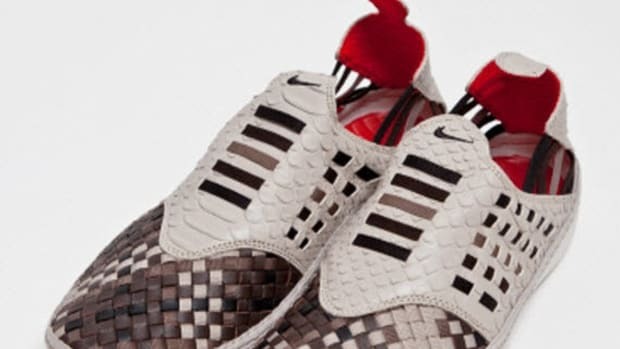 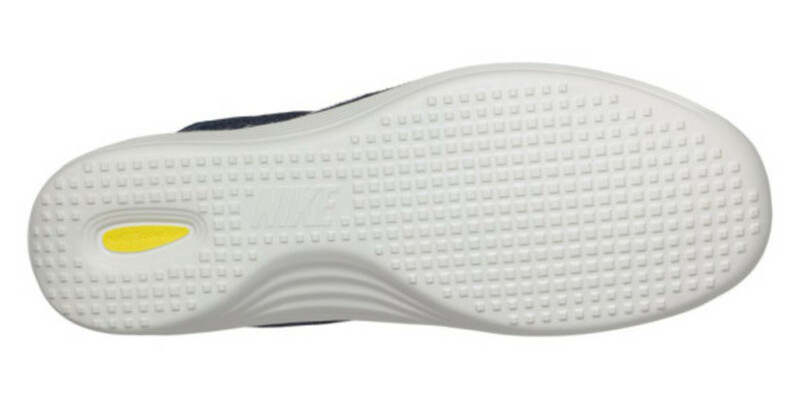 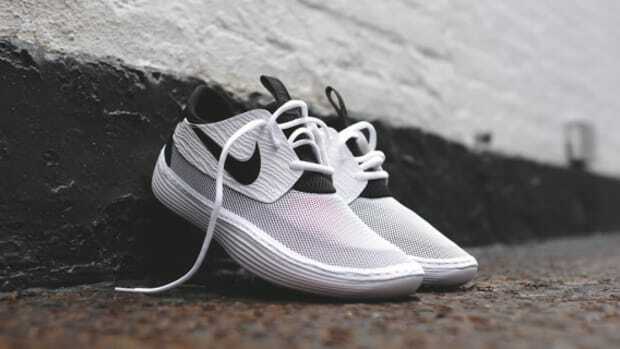 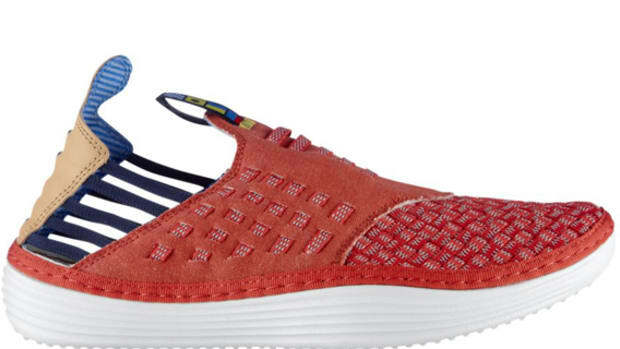 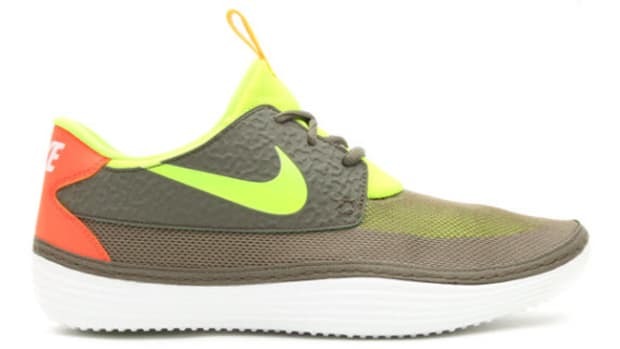 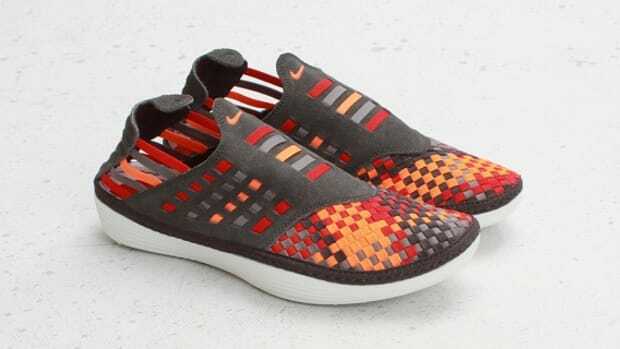 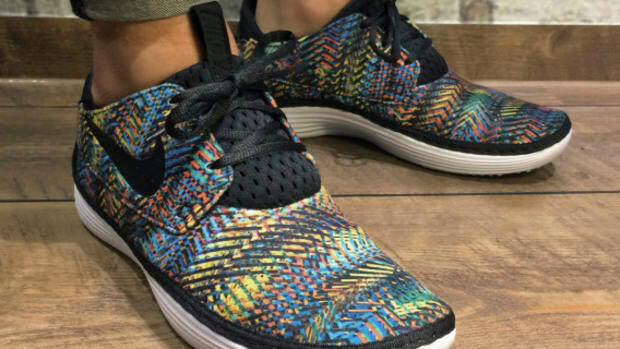 Featuring a design inspired in part by the classic Nike Aqua Sock, this latest Nike Solarsoft Moccasion Woven Premium is reworked with a build that uses a combination of synthetic leather, suede and woven textile at the upper, which sits atop a plush Solarsoft foam midsole finished with horizontal grooves for cushioning and comfort. 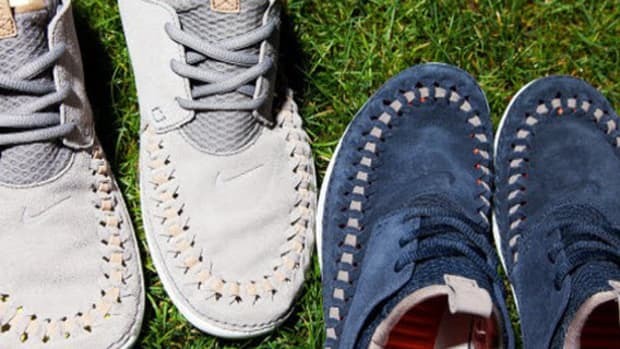 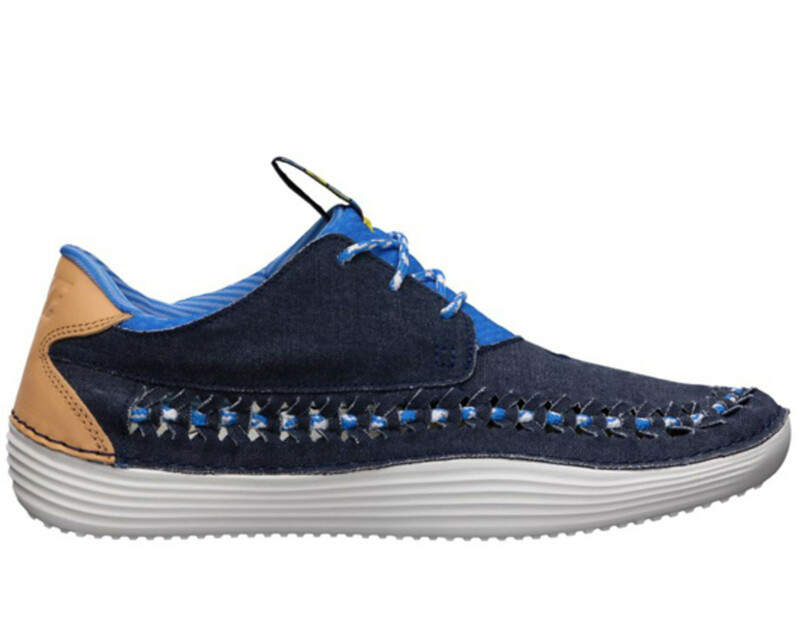 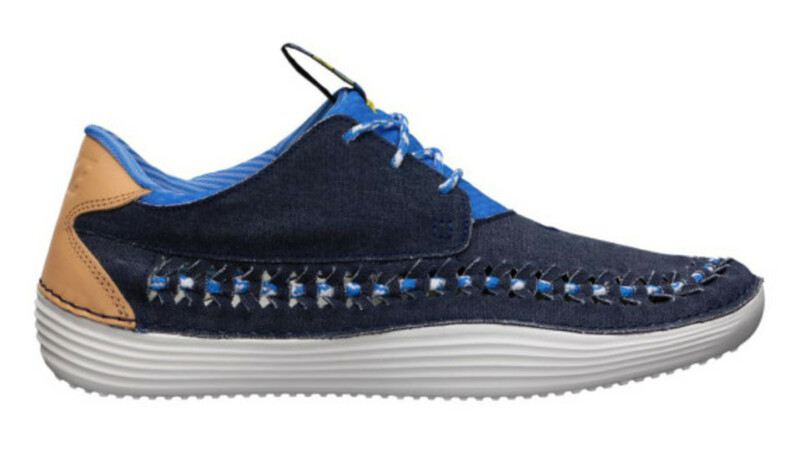 The unique moccasin construction is enhanced with a material story that mimics indigo denim, while the sea blue tongue and lining -- along with two-tone laces and custom pull loop -- give off a distinct nautical vibe. 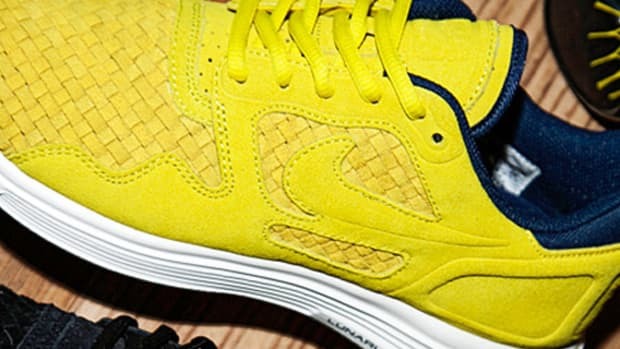 Find the kicks now at select Nike QS retailers and online.